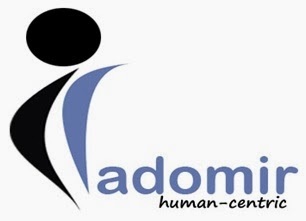 RADOMIR | Human Resources | Technology Consulting | Outsourcing : Executive 1 No for our MNC Client - RADOMIR!!! Executive 1 No for our MNC Client - RADOMIR!!! To operate the Bottle Pack machine efficiently and produce defect free I.V. Bottles. To lead a team of associates to operate and maintain bottle pack machines, sterilizers, compressed air system, boiler DG sets, A/c. and air handling system and General utility machines. To lead a team of associates and maintain and operate the power systems, steam generation systems and captive power systems of the plant in accordance SOP. To track and report usage efficiencies and implement agreed action plans for corrective actions and operational improvements. Ensure regulatory compliance with all relevant provisions of law and Baxter standards (Fire, Industrial Safety, Industrial Hygiene, Effluent Disposal, Quality, GMP). To lead from the front by setting personal example of workmanship, commitment to standards and adherence to SOPs. To inculcate high standards of housekeeping and safe working and hygiene amongst team members. To ensure all documentation process are completed accurately and timely. To highlight any deviation from standards and participate in problem solving and resolution initiatives. To actively participate in identification and implementation of value improvement initiatives so as to drive efficiencies in consumption of power, furnace oil and diesel. Adhere strictly to Baxter’s code of Ethics and shared value. 3 to 4 years’ experience in LVP. Sound technical knowledge, Very good in leadership skills, Motivation skill, and knowledge in GMP.